Our guest tonight will be Carol Walker, Dir. of Field Documentation for Wild Horse Freedom Federation. The BLM is proceeding with a Radio Collar Study of wild mares in the Adobe Town Herd Management despite overwhelming public comment against it and an IBLA Appeal that was filed. The BLM plans to use bait trapping to capture 30 wild mares in 3-5 different areas within the HMA to track movement. Huge concerns have been raised about the welfare and safety of the mares because Radio collars are dangerous and can cause injury and death. 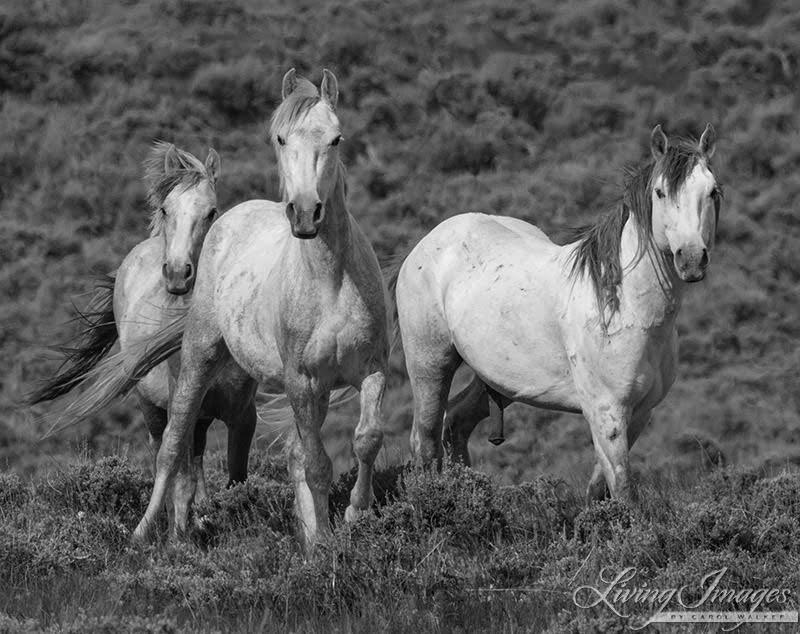 Carol Walker has spent 13 years observing and photographing wild horses in Adobe Town. This show will be hosted by R.T. Fitch, Pres. & Co-Founder of Wild Horse Freedom Federation. 12/7/16 – Nick Jans, author of “A Wolf Called Romeo.” Listen HERE. 12/14/16 – Amy Hanchey, Pres. of Pegasus Equine Guardian Association, that is striving to protect the wild horses on the main post at Fort Polk, Louisiana. Listen HERE. At the beginning of March, the FBI will no longer accept FOIA requests via email. Instead, requesters will have to rely on fax machines and standard mail (“snail mail”) in order to communicate with the agency’s records management division. The agency will also accept a fraction of requests through an online portal, provided users agree to a terms-of-service agreement and are willing to provide the FBI with personal information, including a phone number and physical address. THANK YOU for yet another excellent show. This will be an informative show. In years past many wild horses have been killed by BLM during their collaring of wild horse experiments. It is dangerous to the horses and the so-called information they are supposedly trying to gather can easily and more accurately discovered by them going out in the field and observing the animals – fact.